So what is it? 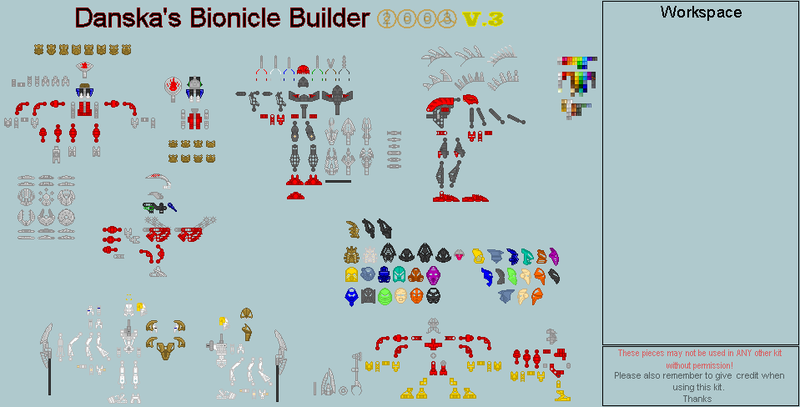 Unlike many kits, which exist to make comics and similar, this kit's purpose is to virtually build Bionicle figures, piece by piece. Granted, it may not be quite as fun as making them with your own bricks, but you can't get all the bricks in all the colours, can you? 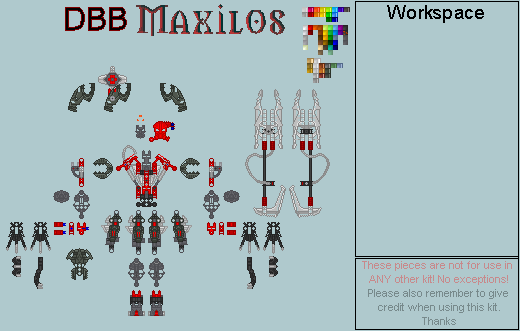 With this kit, you can combine parts however you want and make them whatever colour you like! Designing your own characters has never been easier! 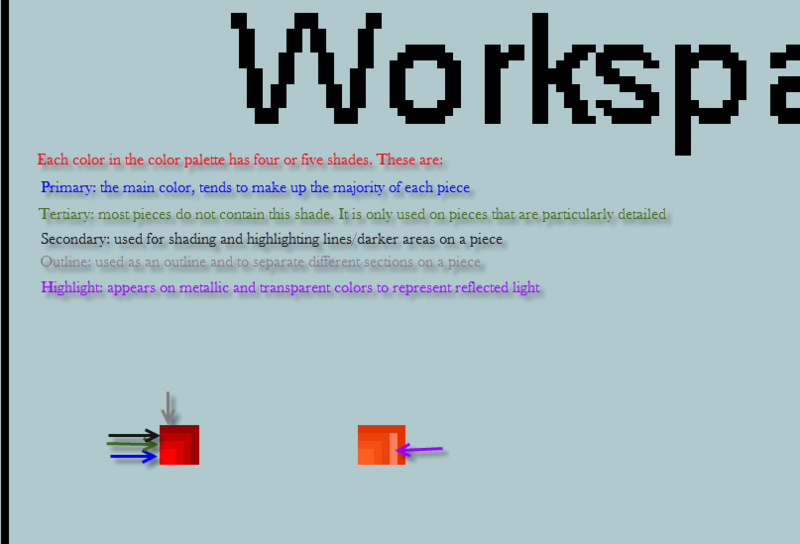 I've made some instructional images that will hopefully explain how to use this kit (using Paint). Let me know if they help, if they're completely rubbish and if you have any questions. Edited by Danska: Shadow Master, Sep 22 2015 - 10:41 AM. 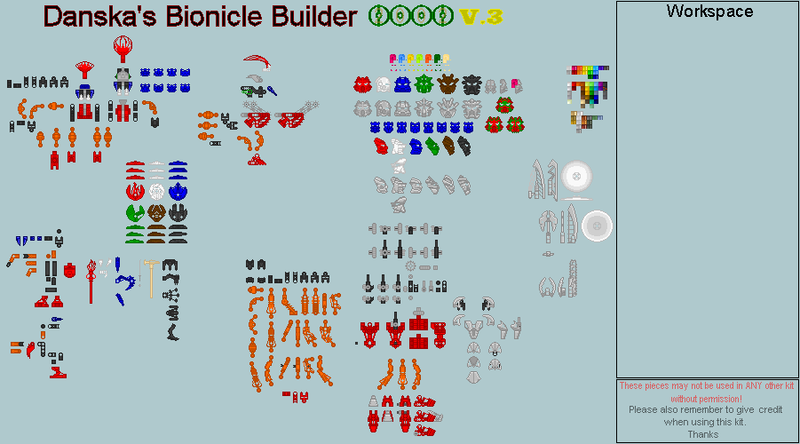 Click on them to build them yourself! Great to see my favorite kit back. I was considering leaving, then this.I could help with the Toa Edition if you want. HOORAY!I made an XPlode helmet a while back... It's okay I guess...http://www.brickshelf.com/gallery/Kongu3345/DBB/xplode.bmpIt's a BMP, so I can't embed it, but there you go. Do you require giving credit if you use these? Credit is only required if you're using parts from this kit in another kit or similar. Essentially, any situation where it might otherwise be seen as your own work. 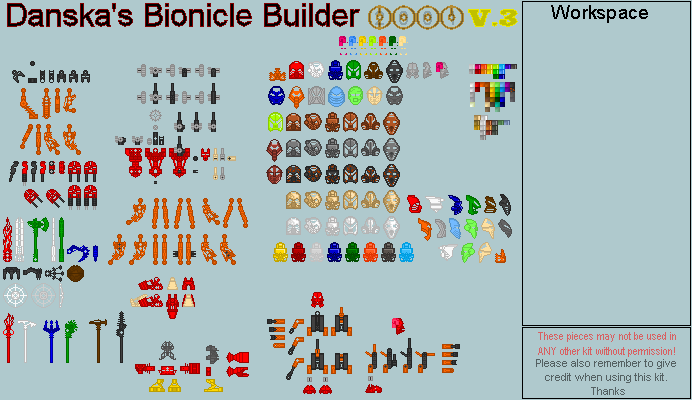 If you're just using the kit to build things and then displaying them for whatever purpose then no, it isn't. Credit would of course be nice, but I'm not going to demand it from everyone who decides to use the kit. It's there for people to use and have fun with. Holy moly, Durahk, that's a big whooping revival if I've ever seen one, but since this is the comics forum, it should be ok. Still, this is a three year old topic, I mean just... wow. Anyway, if I am to be on topic here, I always did enjoy to tinker around with this kit. 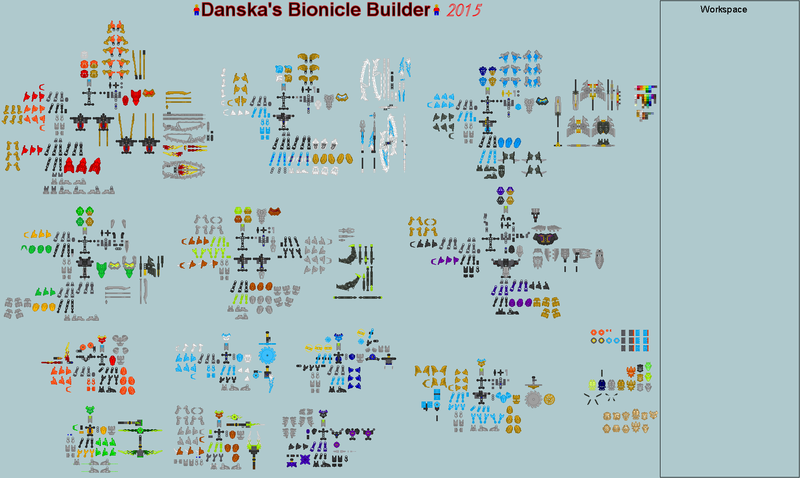 Seeing the 2015 toa in Danska's sig... hmmm. Possible update to the kit, Danska? Edited by Toa Onaku, Mar 06 2015 - 06:26 AM. Please Help! How do you use these? I really want to make one! Making a new account soon. I'll still use this one sometimes tho. What would you like to know? What you will do first is download the image with the desired parts you want. 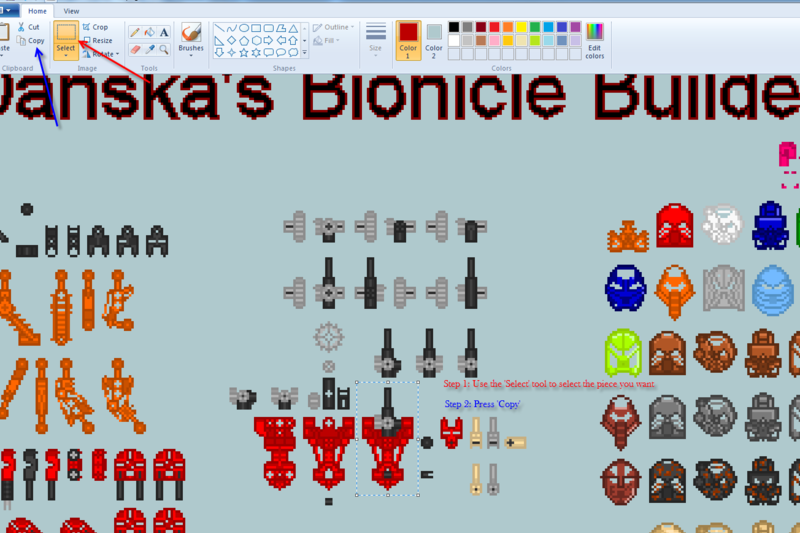 Then open a blank image file then copy and paste the desired parts into that blank file and place them together. It is a trial and error process until you find a design you like. Make sure to only copy the desired parts. If you cut them from their original file then accidently save it the part will be lost and you'll have to re download the original file once more. I've made some instructions that I hope people will find helpful (I've also put them in the first post). Let me know if anyone needs any more help, or if the instructions are completely terrible! 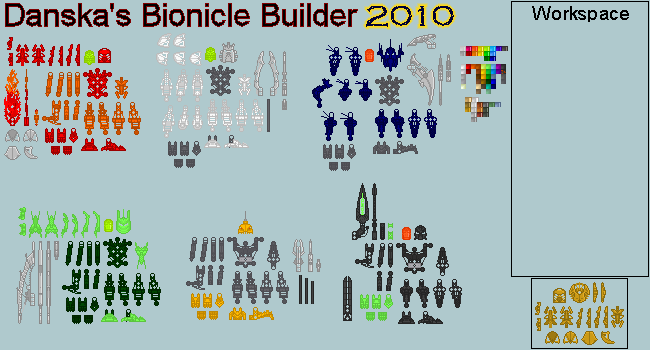 When will the 2015 sprite sheets become ready for release? 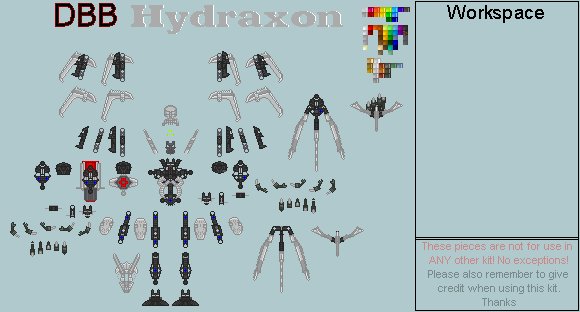 Well, I was gonna wait until I'd updated the limbs a bit (given them all the option of the angle used by the Protector of Water), and then until I'd finished changing the colour palette of all the old kits, but you know what? Since you asked, I'll drop what I have onto the interwebs. Cool, thanks for putting the sprites online. Son of a gun, Danska is back, too? It's like my whole past is coming back to haunt me again! HAHA, okay anyway, I like you've stuck with your style almost perfectly! It definitely looks like your work hasn't been aged at all. The 2015 sheet looks great! Good to see you're still working on DBB after all these years, haha. One thing: I'm not a huge fan of my XPlode helmet any more. I really don't think it deserves a spot among your fantastic sprites, so if you want to remove it, please do. Could I use some sort of program beside MS Paint? Like GIMP? 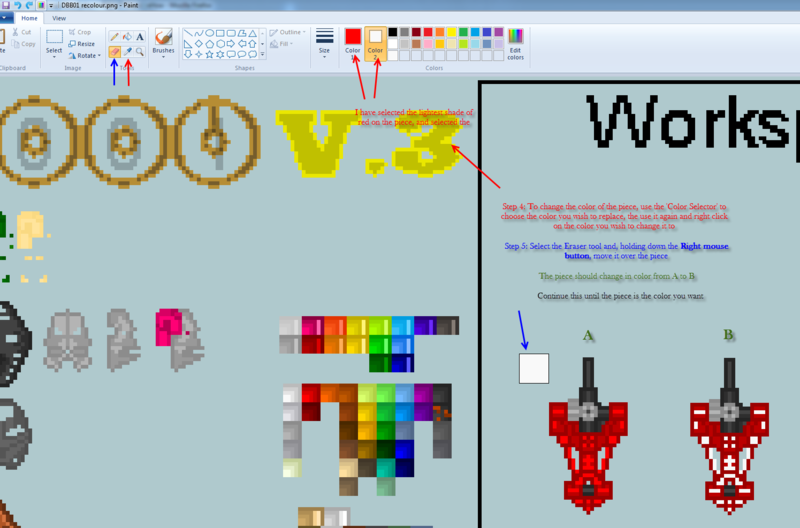 You can use any raster graphics editing program. 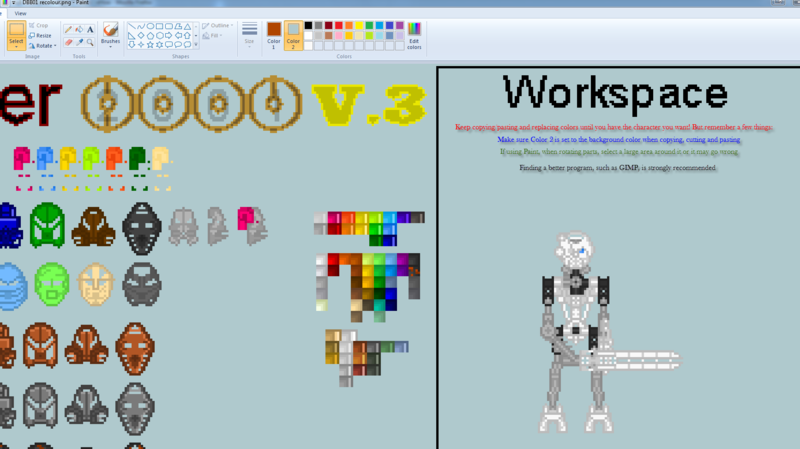 MS Paint is by far the simplest for this kit, since it doesn't have any bells and whistles that could interfere with a pure sprite, but if you're proficient with GIMP or Photoshop or Fireworks, you can use those too. Now that I'm back with an actual computer, I've taken the helmet down. I'm not certain what the original looks like, but I'll trust your judgement on it. You should be able to, yes. In fact, I'd strongly recommend finding something other than Paint. I find it incredibly frustrating. I have heard good things about GIMP, so that might be worth a try. I'm considering giving it a go myself. The Instructions are perfect and useful! Could you make instructions for GIMP? P.S: I made my character thanks to your instructions! Edited by GSR, Apr 26 2015 - 05:41 PM. So I've almost finished converting all the kits to the new colour palette. 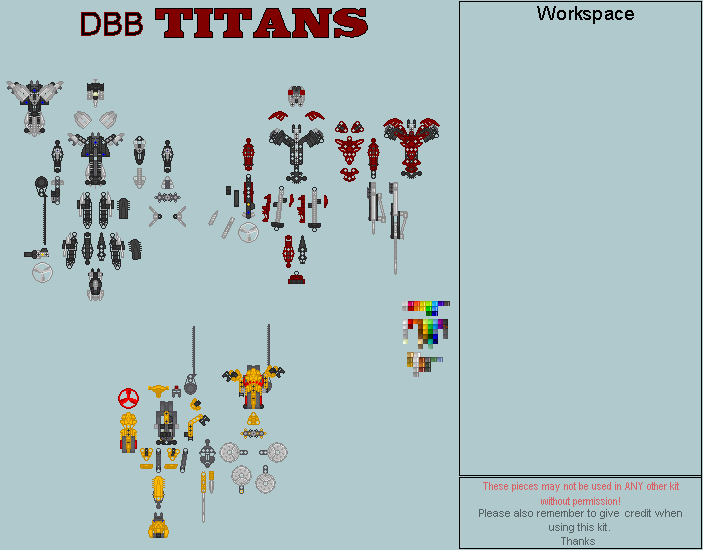 Unfortunately, while working on the Toa Edition and all the Titan kits, one of the tools was set wrong and ended up messing up the colour schemes quite hideously. This has been fixed on all but the Toa Edition, which is a rather hefty job that I'm putting off for the moment. Still, should be done soon! Then I can get back to making new angles for the limbs, to stop the Protectors looking so silly. I LOVE THIS KITS!!! I like the pixel style and the fun to build them! I will use my character for a school presentation! Edited by GSR, May 02 2015 - 04:42 PM. Glad you like them! I hope your presentation goes well! 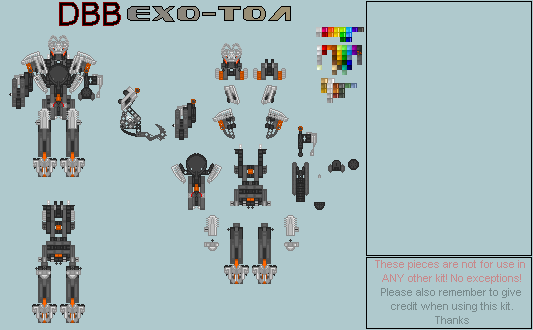 The Toa Edition is, I hope, now updated to the new colour palette. I'm not 100% sure there aren't any errors, but it's at least mostly fine. A heads-up to anyone paying attention, I've finally updated the 2015 kit! 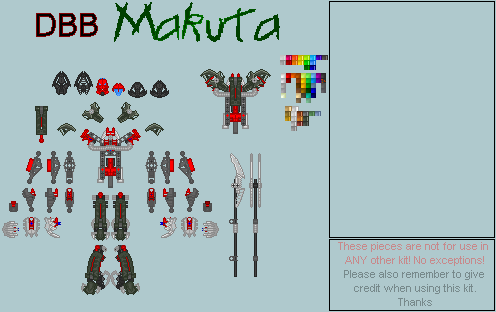 I've fixed a few errors, updated all the limbs and added Ekimu, the Mask of Creation and whatever mask it is Skull Grinder wears. 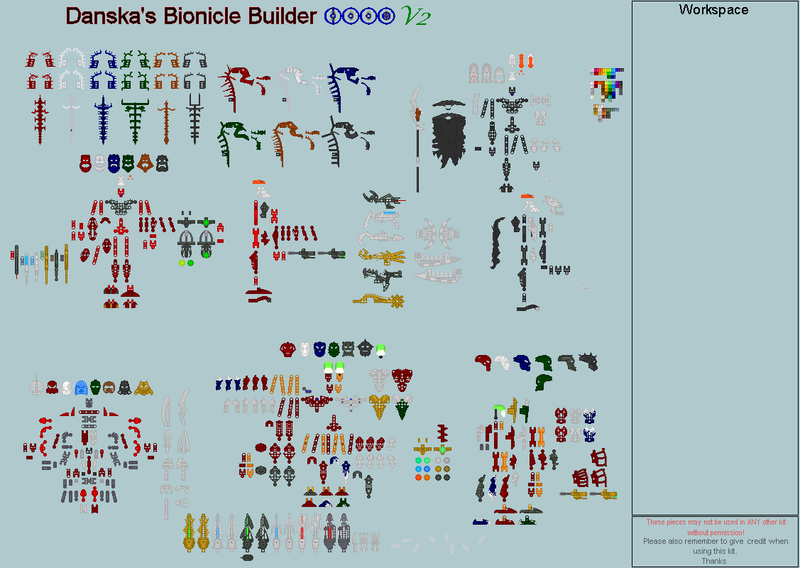 Oh, I've also added corrupted and trans versions of all the Toa's masks. New content indeed! And I think we can agree it's about time! Another slight addition - I've added Skull Scorpio's mask and solid gold versions of all the masks. 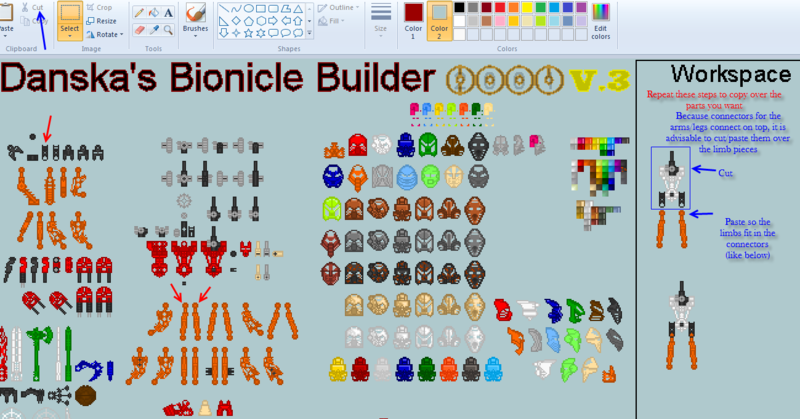 I'm currently working on the summer sets, as my avatar and the image (edit: images) below will show. Edited by Danska: Shadow Master, Aug 22 2015 - 06:18 AM. These sets are looking great! Can't wait to see more! I loved this spritework when I was a child. Seen it come back is great! I noticed an error though: the trans. blue shells used in the Rpotector of Water should all be 3M ones, but you used a 4M one istead on his body. *checks set* *checks sprite* You are quite correct! Thanks for pointing that out. It should be fixed now. Glad you like the kits. Are you gonna make LoSS? I hope so! 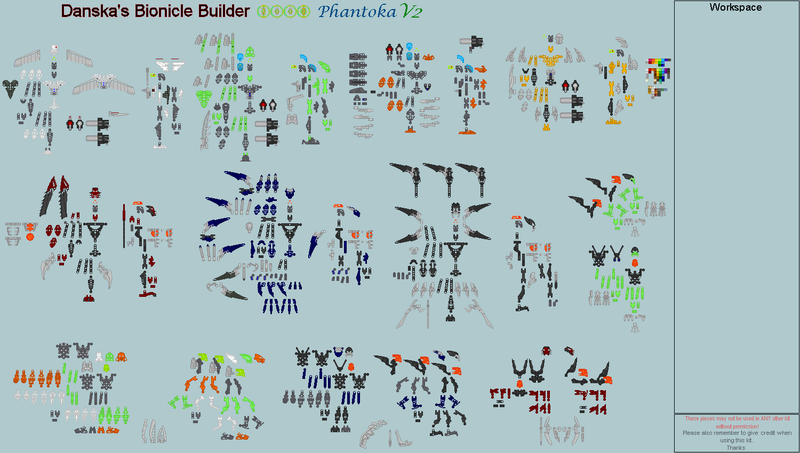 I'm working on Skull Slicer and all his annoying flailing limbs right now, then I may attempt Skull Scorpio and LoSS. 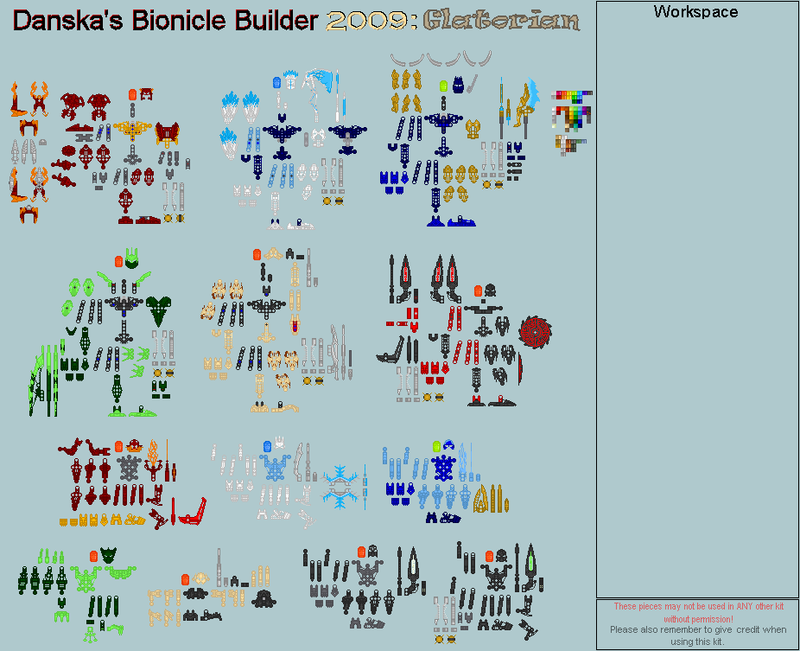 After that, I want to try and put together a Toa Edition type thing for CCBS. It'll likely be missing a lot of HF stuff (particularly weapons and helmets), but it should make it possible to put together most basic figures, at least! Progress is rather slow, but the plan is there. All hail the plan! Behold, the slicers of skulls, with limbs and claws and all sorts of things designed entirely to make my life difficult! And with that, may I present a Brand New Kit! LoSS and Skull Scorpio are still to go, but I figured I've been hanging onto that long enough. It is at last released into the wild! Oh, dang, very nice sprites! Really smooth and well done. Keep up the good work. o: Can't wait to see more. I wonder how you would manage skopio? Edited by Toa Imrukii, Sep 22 2015 - 08:02 PM. Now where did that come from? Well, this is a most strange and fortuitous occurrence. And I suppose the buildable sprite may well have turned up in the kit, too. Wouldn't that be a crazy random happenstance? are you gonna try to make the 2016 sets? just wondering. I love those sets and sheets... But I was wondering... Will you release a sheet for the 2001 Rahi??? Edited by Shadow99, Nov 27 2015 - 09:28 AM. 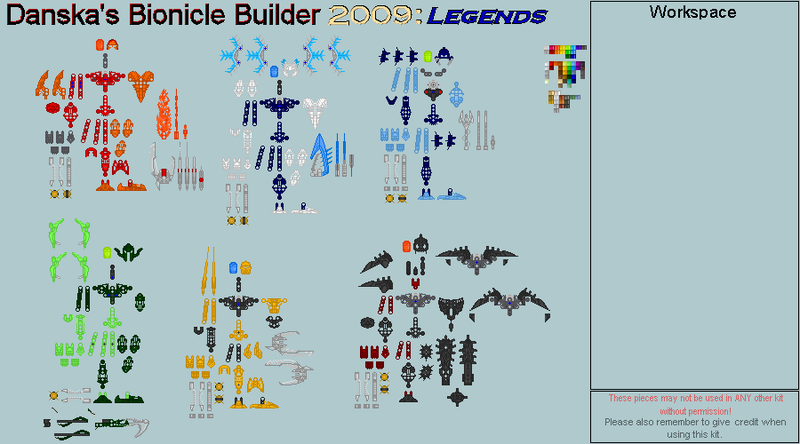 I've been trying to use the Builder in Pixlr, but I'm having some trouble with it. Would you be able to help? A big thank you to Toucan Sam for the Okotian name. I'd like to know if I'm able to use this sprite kit to make a character someone I know can use for a group picture of some people I know for our group. If anyone can remember this li'l bugger, I'll be very surprised. 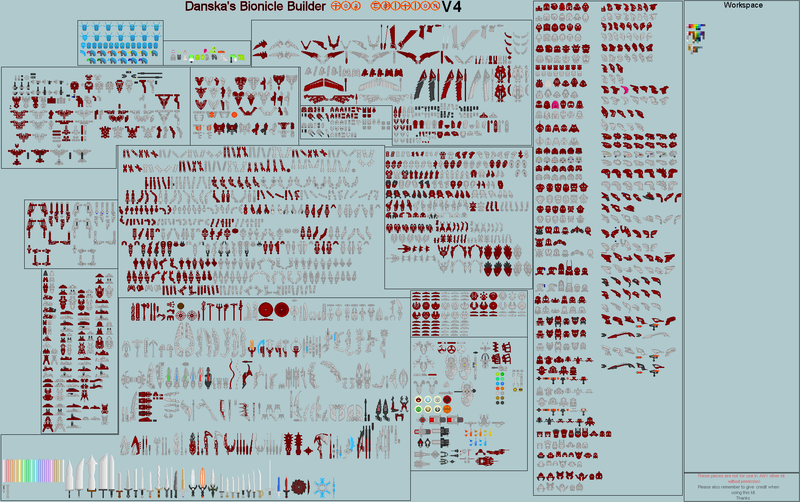 In all seriousness though - a very comprehensive set of sprite sheets - can't recommend it highly enough.